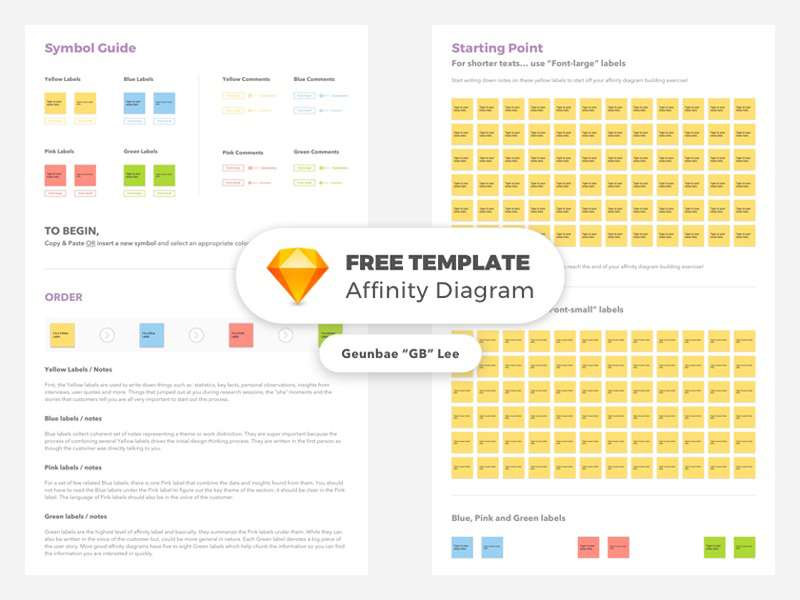 Clean well-organized template for affinity diagram in Sketch format. Customizable and can be used for any UX projects. Learn more how to build an affinity diagram here. Designed by Geunbae “GB” Lee.